It’s been a notable year for walking, biking, and transit in the Mile High City. But what was the most notable? The best project? The worst? We put those questions and others to our readers, and the votes are in. Here are your winners of the first-ever Denver Streetsies. Money talks — and gets votes. 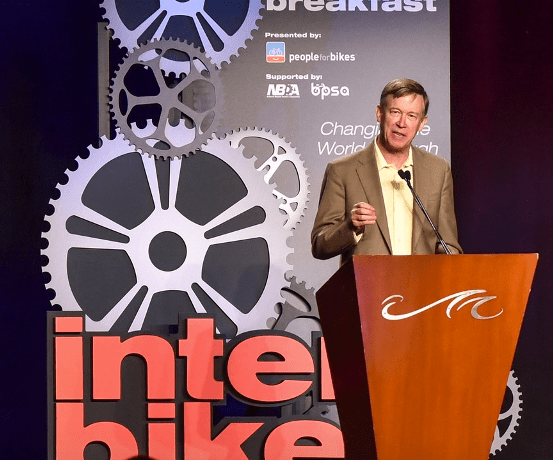 Governor John Hickenlooper’s $100 million commitment to biking and walking infrastructure ran away with this award. CDOT Executive Director Shailen Bhatt gets credit for this investment too, given that his agency committed to spend 2.5 percent of its construction budget on bike-ped “programs,” including infrastructure. Great Outdoors Colorado, which invests lottery proceeds in the state’s natural landscape, is also a major contributor. Make no mistake: This is a statewide investment. A major goal is to draw tourists and connect every city and town via regional trails. It’s still unclear how much of the commitment will fund urban biking and walking projects, but it’s a big statement nonetheless. No winner in any category was clearer than this one. Denver’s first parking-protected bike lanes on Arapahoe and Lawrence streets garnered 58 percent of all votes for Best Complete Streets Project. It makes sense — the two miles of bike lanes make for a much needed connection between Auraria Campus and the eastern edges of downtown. With push-button bike signals, bike boxes, and a safe way to cross a nasty, six-legged intersection at Broadway and Park Avenue, the Arapahoe and Lawrence bike lanes are the city’s best. 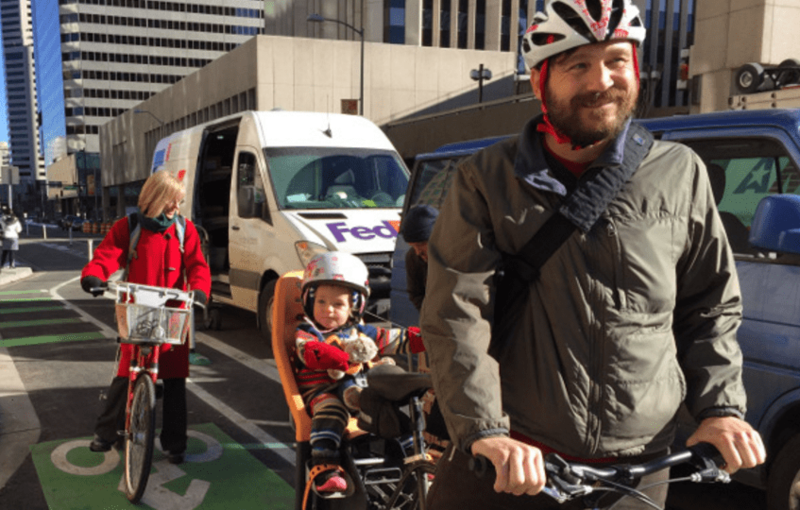 Plus Denver Public Works, BikeDenver, and the Downtown Denver Partnership got it done in just one year, from conception to implementation, with the help of People for Bikes. It’s not all sunshine and roses, though. Just after the lanes officially opened, DPW watered it down by taking away protections for people on bikes after business owners complained. DPW permitted drivers to park in the bike lanes for special events as well, undermining its own stellar creation. This one was close, but in the notoriety category, the decision by Denver Public Works to widen streets near the I-25 and Broadway RTD station takes the cake. The area is supposedly destined to become Denver’s “Midtown” — a walkable, bikeable, and transit-friendly area that connects neighborhoods long separated by a highway, train tracks, and the South Platte River. So, naturally, DPW recently asked contractors to bid on a project that will widen nearby streets and create wider chasms for people to cross. One part of South Broadway, for example, will have 10 lanes for cars to drive, turn, and park in. This archaic project, which will serve to speed up cars heading to and from the suburbs twice a day, has been in the pipeline for eight years. Eight. It finally has funding, which seems to be the only reason it’s moving forward. Never mind that the the widening directly opposes the city’s strategic transportation plan. Shout-out to CDOT’s plan to widen I-70 based on questionable data. The $1.2 to $1.8 billion blueprint lost to the ill-advised project at I-25 and Broadway by just one vote. It’s been a memorable year for detractors of livable streets, but readers said that no takes were more absurd than Denver Business Journal Editor Neil Westergaard’s. This year the editor of the city’s leading business publication told his 45,000 readers that “forcing” a bike lane onto a street like Broadway is “vehicle-hostile.” And that making certain streets safe to bike on is actually about penalizing drivers. At a transportation panel earlier this month (in which I participated), Westergaard said his views about bikeable streets had been mischaracterized. The above links are to Streetsblog Denver’s reaction to his columns. Here are Westergaard’s original columns, so you can judge for for yourself (if you can make it past the paywall). Transportation planners planted a lot of seeds this year in terms of transformational projects for walking, biking, and transit. Streetsblog readers said that none have a brighter future than the 5.5-mile 303 ArtWay, a cultural trail for walking and biking anchored by the RTD station at 40th and Colorado. When complete, the ArtWay would connect northeast Denver to its disparate neighborhoods and to the businesses, parks, and cultural institutions along the way. Art that depicts the area’s history and culture would deck the walkways and bikeways that comprise the trail, which would ultimately provide much-needed access to transit. The 303 ArtWay is in its nascent stages, but the Urban Land Conservancy and its partners have plans to install some demos next year to get the public excited. Hat tips to the Broadway bike lane, the Brighton Boulevard redesign, and RTD’s continued buildout of FasTracks. All of these projects will take major steps forward next year. 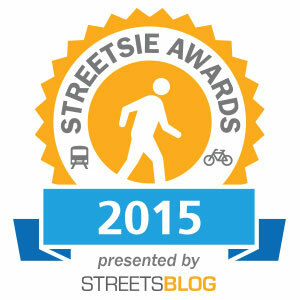 Thanks for voting for the Denver Streetsie Awards. Streetsblog Denver will resume its regular publishing schedule on January 4, after what we hope is a happy New Year for everyone. Thank you for the fun and interaction with these topics!